Samentha Tiller brings over 20 years of full life cycle project management experience in the communications Industry. Samentha has had substantial experience working with internal and external customers/end users to accomplish customer objectives. Project responsibilities have included budgets in excess of $5,000,000 in revenue opportunities and as large as $50,000,000, with direct management responsibility for installation crews and indirect responsibilities for departmental teams. Samentha applies her outstanding leadership and training skills to train and develop high performance teams. She believes that the team development is a continuous process that should be cultivated and nurtured daily in order to achieve and maintain the status of high performance team. Shane Slater started in the construction industry in 1993. His experience includes service related work, new construction, industrial, and data-com, holding positions of helper, journeyman electrician, project supervisor, assistant engineer and project manager. He now leads our Operations department and focuses on major, strategic projects. Shane applies his leadership and technical skills to train and develop high performance teams to ensure a quality installation. Shane is involved in incorporating new technology to our installations to deliver the highest quality of connectivity through innovative solutions. 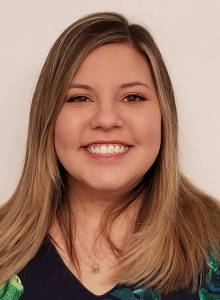 Abby Garcia is the Office Manager at DMI Technologies. She joined DMI Technologies in 2013, and has over 10 years’ experience in the construction industry. She serves as the first point of contact for visitors and field employees at DMI Technologies. As the sole administrative personnel, Abby provides support for the Sales, Operations, and Service departments. 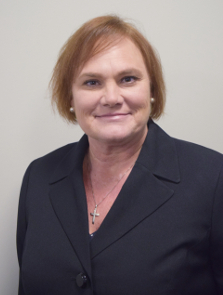 She directly handles such financial matters as customer billings, contracts and documents, and accounts payable, as well as various other administrative responsibilities. 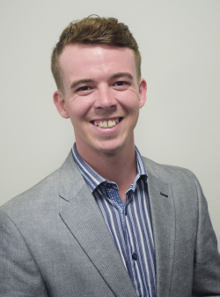 Branson Hutchens is the security lead at DMI Technologies. When asked to describe his experience he provided the information below. I am excited to be at DMI Technologies because it provides me the opportunity to work with and learn from the most professional and talented team that I have encountered in the industry. My education and training have prepared me for a bright future in the security/technology industry. I am currently in pursuit of my Bachelor’s degree in Cybersecurity at National University. Due to my diligent work and academic achievements I have been selected to be a part of National University’s Scholar program; a highly competitive scholarship offering in which the students undergo rigorous leadership development and community outreach programs. I am also a member of the SALUTE Veterans National Honors Society which is an organization dedicated to recognizing and honoring the service and scholastic achievements of student veterans. (ISC2) System Security Certified Practitioner (SSCP). Allan Throneberry leads the sales and marketing efforts for DMI Technologies. He began his career in the late 90's with a regional telecommunications company and has spent the last 20 years in various leadership roles for Telecom and Software companies. His experience includes network infrastructure, building automation, SaaS solutions, and efficiency solutions across a broad range of industries. Allan believes that customer relationships are paramount and that there is no greater company purpose than delivering high valued services to our clients. 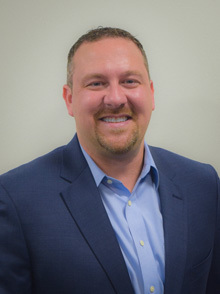 Daniel Long is the Strategic Account Manager who partners with owners/end-users and general contractors to find the best-fit solutions for their network infrastructure and technology systems. Having spent numerous years working with global companies in both the public and private sectors, Daniel knows what truly matters for any network infrastructure challenge – and it’s not just offering solutions. It’s how well you genuinely connect with people and listen to their true needs. Daniel believes in taking a close (client-centric), consultative approach which creates a deeper level of understanding and trust, which allows him to offer personalized advice and develop specific recommendations. Daniel has worked with and supported some of the world’s largest Fortune 500 companies, including Walmart, AT&T, Berkshire Hathaway, Costco, JPMorgan Chase and Bank of America Corp. He played a key role in achieving channel partner of the year for new customer acquisitions for all of North America at his previous company. Daniel is a proud alum of East Carolina University where he received a BSBA in management. Go Pirates! 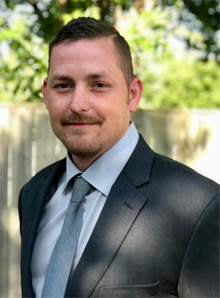 Taylor Watson is the Account Executive who partners with IT Directors, Facility Managers, owners/end-users and general contractors to configure optimal solutions for their security, network infrastructure, and technology systems. Being in IT for the majority of his career, Taylor truly believes that the relationships he builds will last longer than any solution that can be sold. Technology is ever-changing, what works now could be obsolete in 5 years, but a strong relationship where both partners communicate and want the best for each other, that could last forever. This relationship first approach has allowed for greater communication and a deeper level of trust when offering personalized advise and solutions. Taylor has worked with and supported some of the world’s largest Fortune 500 companies including Dell, AT&T, Cisco, as well as some of the Nation’s top Universities like Texas A&M and University of Texas at Arlington. Taylor is a proud alum of University of Texas Arlington, where he received a Bachelor of Business Management. Buck’em Mavs! Aaron Rogers started in the data cabling industry in 1992. His experience includes service related work, new construction, industrial, and data-centers, holding positions of technician, project supervisor, and project manager. Prior to that, he has 7 years’ experience in telecommunication switch manufacturing as a technician and supervisor. He is now in the position of Service Manager. Aaron applies his leadership and technical skills to train and develop high performance teams to ensure a quality installation. Aaron is involved in incorporating new technology to our installations to deliver the highest quality of connectivity through innovative solutions. Kevin Baker has over 25 years of experience in the communication industry with 20+ years of project management. 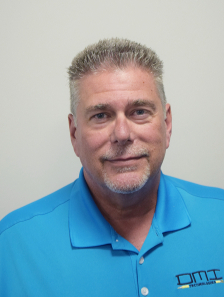 Kevin has vast experience in working directly with the customer, consultants, general contractors, and other trades which has allowed him to successfully complete many projects over the past 25+ years. He has managed projects ranging from small to in excess of $5,000,000. His management philosophy includes building and maintaining a strong, well-trained team which leads to a successful project and ultimately a happy customer. Clint Fox, is the Security Department Manager at DMI Technologies. 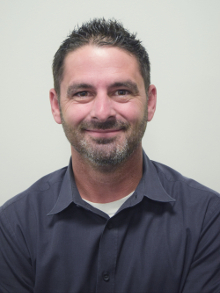 With more than 18 years’ experience in the building automation industry Clint has designed, installed, and maintained countless energy management, and electronic security systems. He has extensive experience with Global Accounts and has managed projects throughout Europe and North America. As a Project Manager, Clint has repeatedly exceeded customers’ expectations with regard to cost and schedule.